I have always hated water. As a beverage, I mean. Water is for taking showers, to swim in and to clean your clothes and your dishes with. But to drink? No, I never understood why people would like that. I mean, water tastes like… Nothing. Nothing interesting, at least. Still, I know the health benefits it provides. I know I’m supposed to drink 1,5 l (50,7 fl oz) of this boring beverage every day. I never succeeded in doing this though. I’ve tried, multiple times in the past. But instead of drinking the water standing in front of me, I just refrained from drinking anything and get thirsty. However, when I created my 101 in 1001 list, I decided I wanted to lose weight. And more importantly, I decided I wanted to be healthy. Getting myself used to drinking water seemed only logical. I would at least try it for one month. And not even the full 1,5 l, but just a jug. My jug contains 1 l (33,8 fl oz). That shouldn’t be too hard, right? Still, it seemed a lot for something I did not like. I figured if I would manage to drink an entire jug of water every day for a whole month, I could be very proud of myself. So I started this goal on January 1. It helped that I stopped drinking soda at the very same time. After all, my daily soda intake had to be replaced with something, right? But what helped me the most, was a new mindset. I figured, if I think water is not tasty, why not make it tasty, then? I remembered being in a spa once, where they put all these herbs in the water. I actually liked that! So why wouldn’t I just do this myself? I tried all kinds of water; water with lemon, water with lime and water with orange. They al were very nice and refreshing. But the kind of water I liked most, was cucumber water. 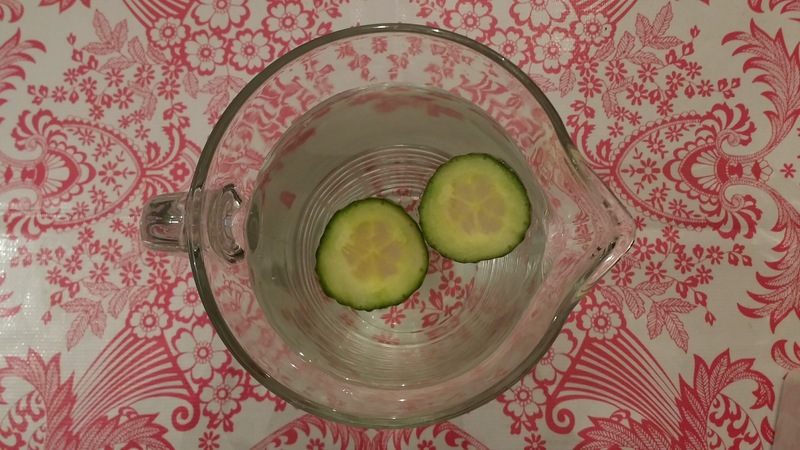 Several people mocked me for putting slices of cucumber into my water. Ruud even refuses to try take a sip. But I LOVE it. It is absolutely heaven. I never tasted something so refreshing as this. It’s nice every moment of the day, but it’s absolutely the best right after a work-out. I can imagine it would be a very great summer drink, as well! So with these small, inexpensive and easy improvements of my water, this goal turned out to be a very easy mission. I didn’t only accomplish it, I also discovered a new favorite drink! I can proudly say I still don’t drink soda and the water jug is glued to the table now. 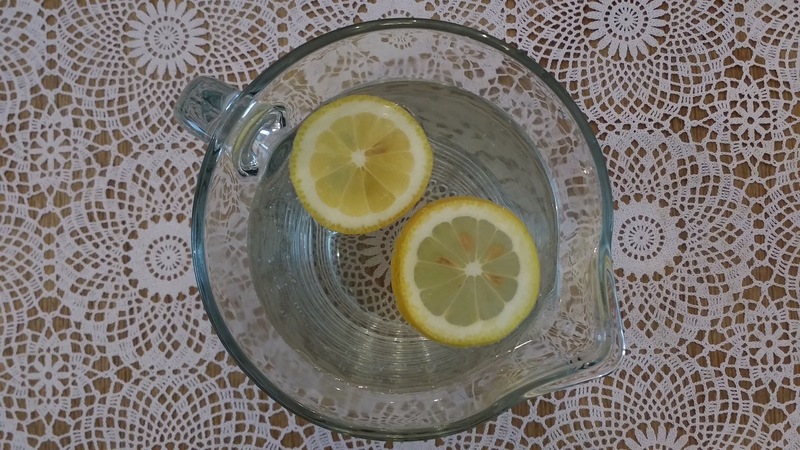 If you have any suggestions of ingredients I can add to my water to improve its taste, please let me know in the comments below. I’d love to try them out as well!